Sometimes stepping outside of your comfort zone means stepping into a steamy hot bathtub. Naked. With people you don’t know. 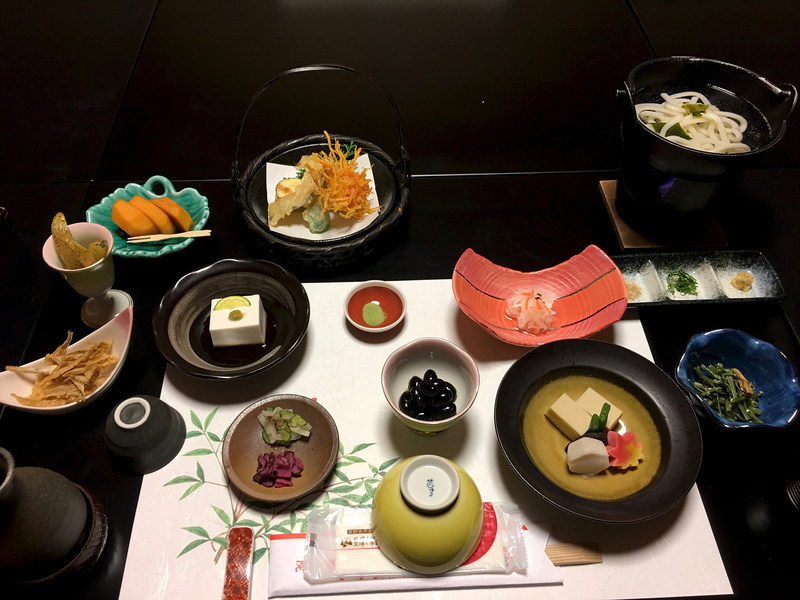 I’ve already written about my two-night stay in Koyasan’s Fudoin Temple. Now it’s time to share my experience using the temple’s communal bath. At Fudoin, all guests were expected to take a bath before dinner. While some guest rooms (like mine) had their own toilets, none had showers or tubs. Everyone had to make use of the communal bath which opened every afternoon at 4:30 p.m. Even though the women’s bathing area was separate from the men’s, I was still apprehensive about the whole thing. I had no desire to take a bath with strangers. For some people, taking a communal bath would be no big deal. But, for me, it was the biggest deal of my adventure to date. Before I describe my experience, though, I should provide a brief tub tutorial. Bathing is a huge part of Japanese culture. In homes and hotels throughout the country, bath tubs are deep and meant for soaking. 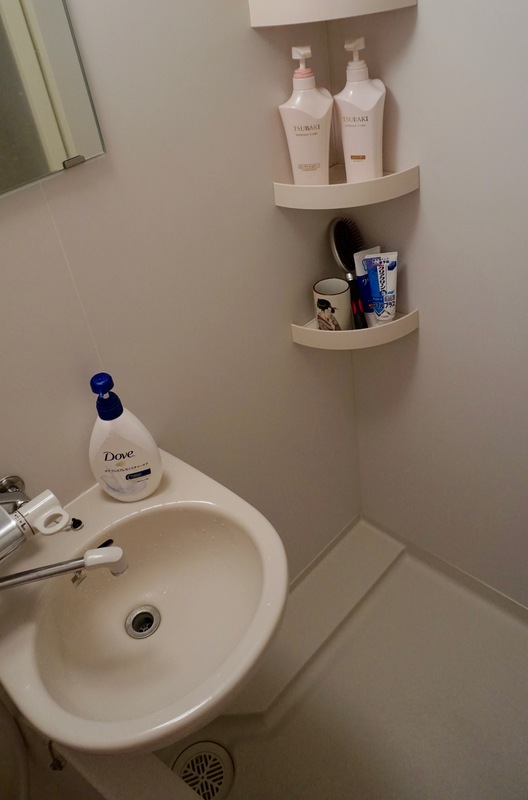 Often, the toilet is in a separate space, and the bathing area is in a water-tight room. 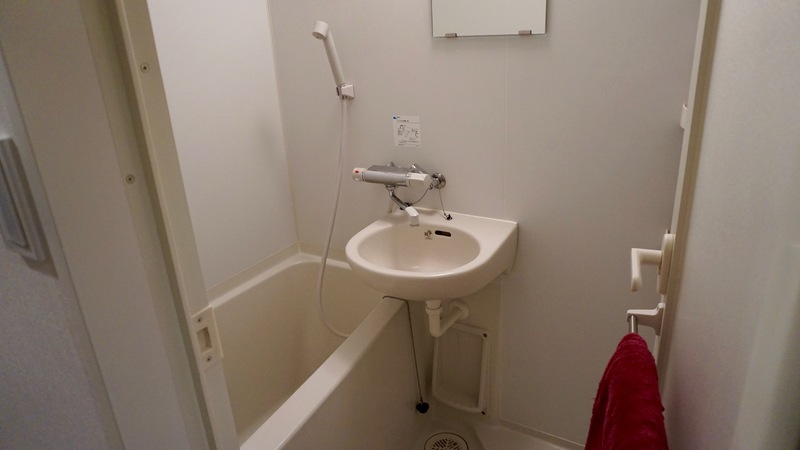 In this Tokyo apartment, pictured below, you can see the area on the right for washing and rinsing. 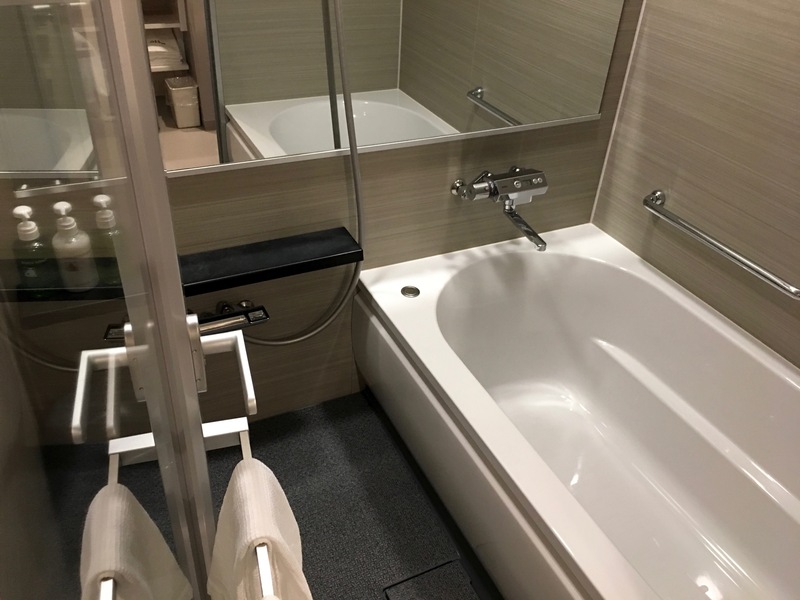 After you’ve cleaned yourself, you can step into the tub on the left. Here are two more photos from a recent hotel stay. The floor has a slight slope and a drain. Water can be sprayed or splashed anywhere in the room, and it will either dissipate or dry quickly. While washing, it’s common to sit on a stool and rinse using the spray nozzle or a bucket of water. 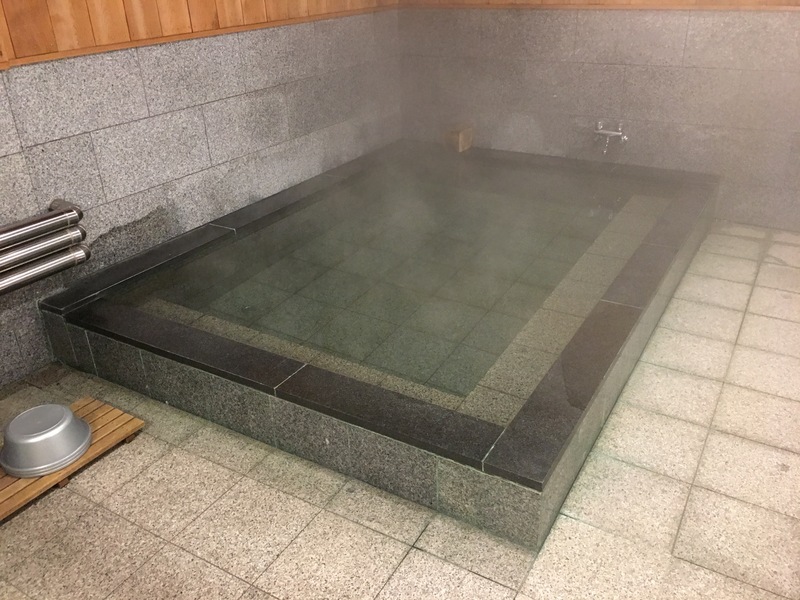 Many Japanese tubs also have a cover to keep the water hot, and it’s not uncommon for the same water to be used multiple times by different members of a family. 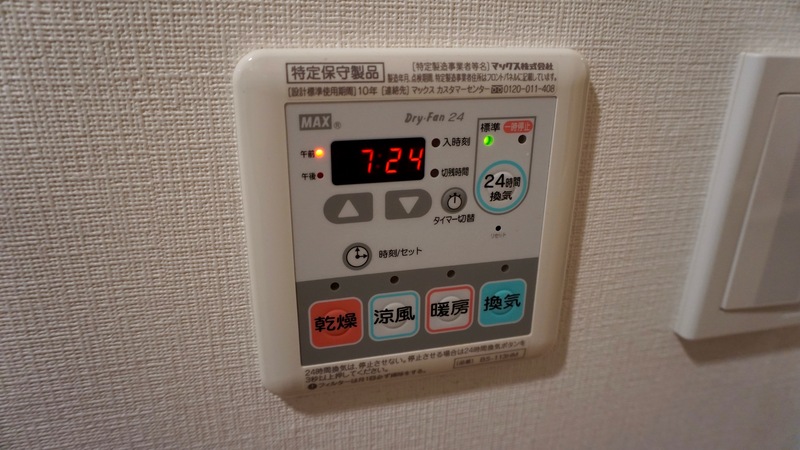 Some bathing rooms even have fancy gadgetry to heat, cool or dry the air. Onsen are baths fed by natural hot springs. They can be indoor or outdoor, communal or private, and are quite plentiful in certain parts of Japan. Many Japanese ryokan accommodations have on-site onsen. Sento are public bath houses that use heated tap water. When entering the bathing area, you’ll first encounter a changing room with either baskets or lockers for storing your stuff. All clothing must be removed. Bathing suits are a no-no. Tattoos are rare in Japan (they’re associated with the Japanese mafia) and usually taboo in public baths. Next, you’ll enter another room, like the one pictured at the top of this post. Sitting on a stool, you’ll wash your body, shampoo your hair (if needed) and rinse completely. The only thing you’ll take into this room is a small “modesty” towel, which is usually provided. Once clean, you can step into the bath. Long hair should be pinned up and your towel should stay out of the water. Either set it aside or place it on top of your head. 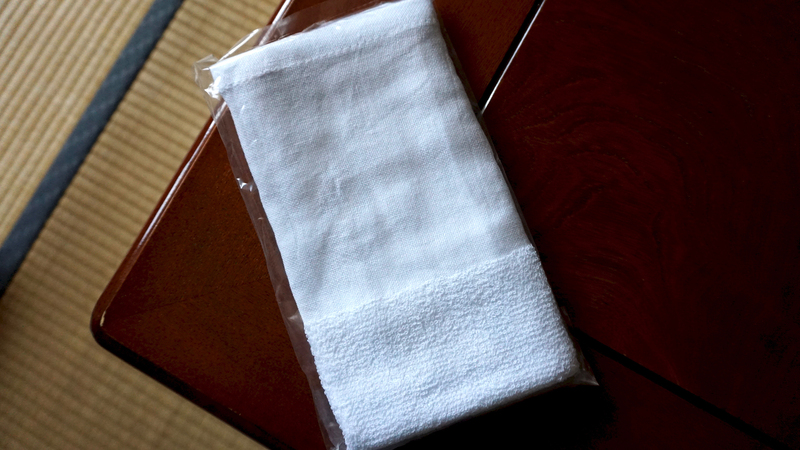 By the way, I should mention that the “modesty” towel is, indeed, very modest. Here’s the one that was provided by the temple. Anyway … back to the bath … since I’d Googled the rules in advance, I knew the etiquette, but I was still self-conscious and concerned that I’d do something wrong or inadvertently disrespectful. So the strategy for my first visit was to enter the temple’s bath as soon as it opened for business. My hope was that I’d have it all to myself. After quickly disrobing, washing and rinsing, I got into the bath. Alone. And it was GLORIOUS. I had no idea that I’d like it so much. Because the water was quite hot, I only soaked for about 15 minutes. After that, I re-entered the changing room, toweled off, donned my yukata and went back to my room to relax before dinner. I never saw another guest. The next afternoon at 4:30 p.m., I headed toward the bath. But, this time, I had company. There were two other women entering the changing room, speaking Japanese, laughing and having a great time. Seeing how relaxed they were made me feel more at ease. When we moved to the washing area, they clearly knew the drill. I, on the other hand, was fiddling with my shower hose, trying to increase the temperature of the water. That’s when one of the women came over to adjust the faucet for me. A naked icebreaker! When we stepped into the bath, I didn’t know if I was supposed to say something or mind my own business, elevator-style. I decided to err on the side of looking like an idiot and attempted to make conversation. I said in English: This is my first time in the bath. I could tell that they didn’t understand what I was saying, and no amount of explaining or pantomiming on my part made things any clearer. But then one of the women asked me, in limited English, if I had come to the temple with a husband. I told her that I was traveling by myself, and it was obvious she understood my answer. When she repeated it to the other woman in Japanese, they both cheered and gave me a big thumbs up. Women love to see other women travel solo! After that, we started talking non-stop and doing our best to bridge the language barrier. Soon, I completely forgot that I was in a bathtub, naked, with two strangers. 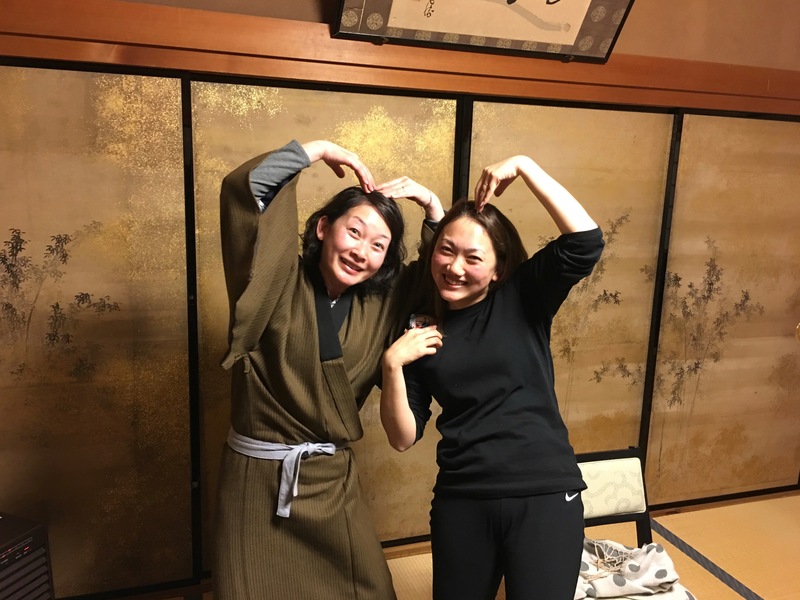 I learned that they were a mother and daughter enjoying a mini-break. They told me that they loved Johnny Depp and Pirates of The Caribbean. I told them that I loved Domo-kun, the mascot for Japan’s NHK network. When we were getting out of the bath, the daughter asked me if I would join them for dinner that night. At least I thought that’s what she was asking — I wasn’t entirely sure, and I didn’t want to be presumptuous. Later, when one of the monks came to collect me for dinner, he took me to a private room in another part of the temple, similar to the night before. 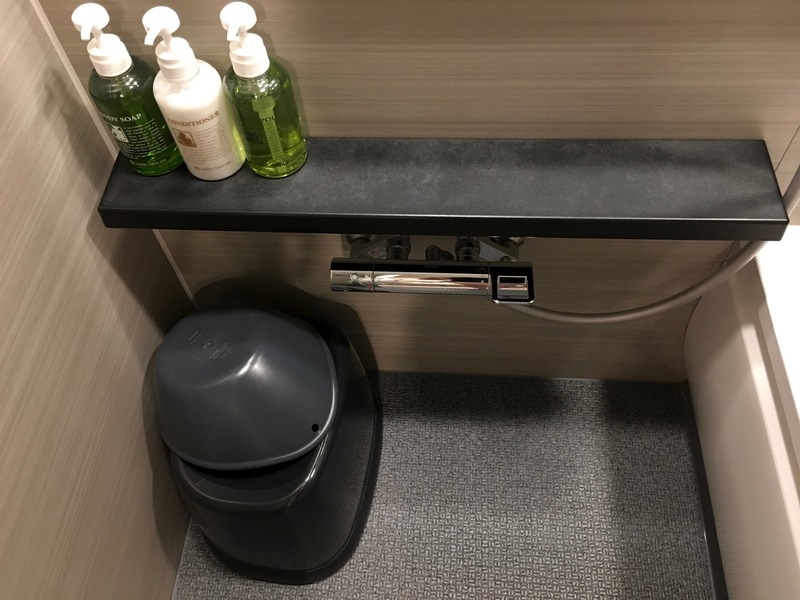 But, as soon as I was seated, the sliding panel that separated my room from its “neighbor” opened, and the mother and daughter motioned for me to join them. They also placed a call on the house phone (Buddhist temples have house phones?) to ask the monks to transfer my meal to their table. No small task given this fancy spread! For the next couple of hours, the women and I shared a bottle of Asahi, asked/answered more questions, made good use of Google Translate and laughed so much that my stomach was sore the next day. This past year, I’ve made new friends on trains, beaches and hiking trails. Who knew that I’d also make them in the bath tub? The next morning, we met again during the monk’s prayers and shared a final meal at breakfast. When it was time to check out and say goodbye, there were multiple hugs while they kept repeating: I miss you so much! I miss you so much! While I’m guessing that they didn’t technically miss me quite so soon, the kindness behind the words was touching and most appreciated. And, of course, the feeling was mutual. And I’m really grateful that, for my first communal bath, these thoughtful and generous women were my buddies. I can’t imagine having a more positive experience.